It is ideal for shops and small business owners. Surya Currency Counting Machine with fake note detection. 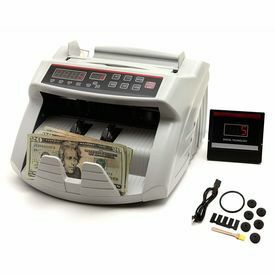 Surya Currency Counting Machine offers several models of money counters. Our digital money counters are designed for counting bills and banknotes in several currencies as well ne great tool at affordable price! It is ideal for shops and small business owners.